We’re in a phase in advertising where the medium is not only influential, but also highly inspirational. People want to be moved by what they see. They want brands to tell stories and not just convey jargon filled, superficially packaged product features with mindless portrayal of the same. Some examples of inspirational ads with a great story-build, would be the bournvita ad, KBC’s ‘loudspeaker‘ commercial, PepsiCo’s ‘Back to school’ ad and Under Armour’s amazing Misty Copeland commercial, among others. Such ads, naturally, get talked about more and shared more. Jumping on the bandwagon, is Nescafe, whose strategy so far was focused on highlighting moments that seamlessly relate to coffee. With this commercial, they’ve put in a lot of thought to create magic around their brand and enhance the connect with audiences. This moving commercial features an odd story of a stand-up comedian who stammers. It begins with him performing in front of a crowd while telling the story of how his stammer had earlier affected his choice of career. He tells it with subtle humour weaved in, with prominent self-criticism. This is what hooks you onto the story. At no point does he indulge in self-pity even though there are slight glimpses of it. The treatment of this story is where the real appeal lies. The story proceeds to show how he decided to turn things around and use the stammering as a strength instead of being pulled down by it. Perfectly timed, the product is first shown at just about this exact moment. Association to victory – simply perfect. As the story proceeds with a subtle background score of a piano, you can’t help but place yourself in his shoes and fall in love with his beautiful story. With a generous amount of adorably funny moments, he goes on to thank coffee (doesn’t name the brand) for giving him the strength to go on. This is quickly followed by humour to dampen any forced product placement. Quoting him, ‘Thank God for coffee. It kept me going and kept you awake’. Perfect again, isn’t it? After this, the video charges forward to a victorious tone where he enthusiastically breaks into ‘Let’s get started’. 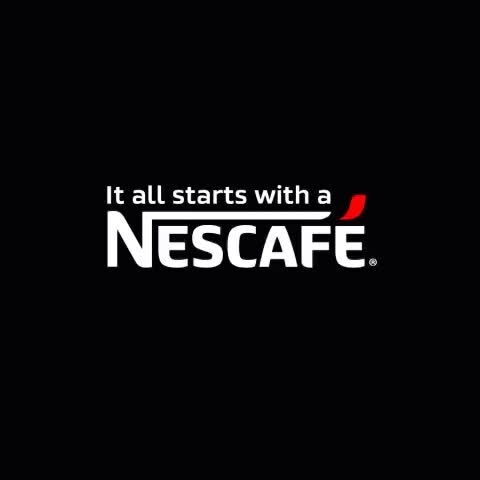 With this, Nescafe flawlessly leads us to their tagline ‘It all starts with a Nescafe’. All I want to do is meet the script-writer and give him a pat on his back for this beautiful piece of monologue. I don’t think I’ve seen such a seamless brand tie-in before, where the brand takes the limelight without compromising the story. All in all, one might easily be moved to tears with this.